What is a purchase order and how do purchase orders work? Purchase orders and requisitions are the two most fundamental elements of an organization’s procurement process. A well thought out purchasing system enables office managers and purchasing agents to control the company’s spending by requiring creation of purchase orders for everything the company buys. The purchasing system governs the business processes used for identifying company needs [internal requisitions], issuing purchase orders to suppliers, receiving and order tracking, vendor invoice processing, and accounts payable. 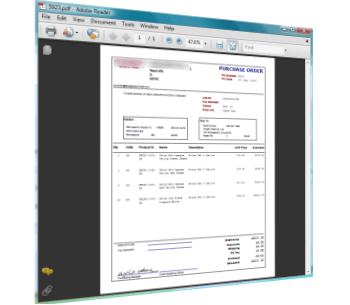 Purchase orders start with purchase requisitions. In many cases, a purchase order will be required for all purchases in excess of a specific dollar amount. Some manager will approve or deny this requisition. When the purchase is approved, the employee can send the corresponding vendor a standard purchase order. PO numbers are then generated, which are to be plainly shown on invoices, packages, packing slips and related correspondence. When an order includes more than one good or service, multiple lines (line items) are used to identify each unique item or service. Each purchase order corresponds to a single, specific vendor; therefore, information on each vendor and its products must occupy its own space within the file system or database. Purchase orders legally specify the terms of buyer-seller transactions. The payment terms can extract credit, discounts and shipping concessions from the seller. Vendor deliveries must be made in accordance with the terms of the PO. The purchase order, including the buyers’ terms and conditions, constitute a contract, which is legally binding upon both parties upon acceptance. 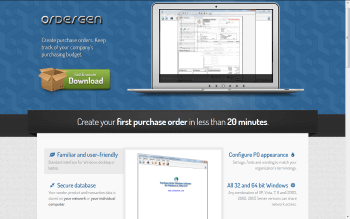 Software Tools – OrderGen is a desktop purchase order software program that creates new purchase order numbers and helps automate the management of all company purchases. OrderGen helps employees to do everything described above; also, purchasing agents can use the purchase receipt tracking features to monitor receiving of full and partially fulfilled orders.